George, a shareholder of the firm, was born and raised in Modesto, California. The son of Greek immigrants, he grew up working on the family farm, growing wine grapes and watermelons. George graduated from Grace M. Davis High School in 1995 before going on to earn his bachelor's and legal degrees. In 2002, he returned home to practice law at a prominent Modesto law firm before co-founding Rodarakis & Sousa, APC in 2012. George's primary focus is in civil litigation. He has litigated cases in Federal and State courts, in both bench and jury trials. 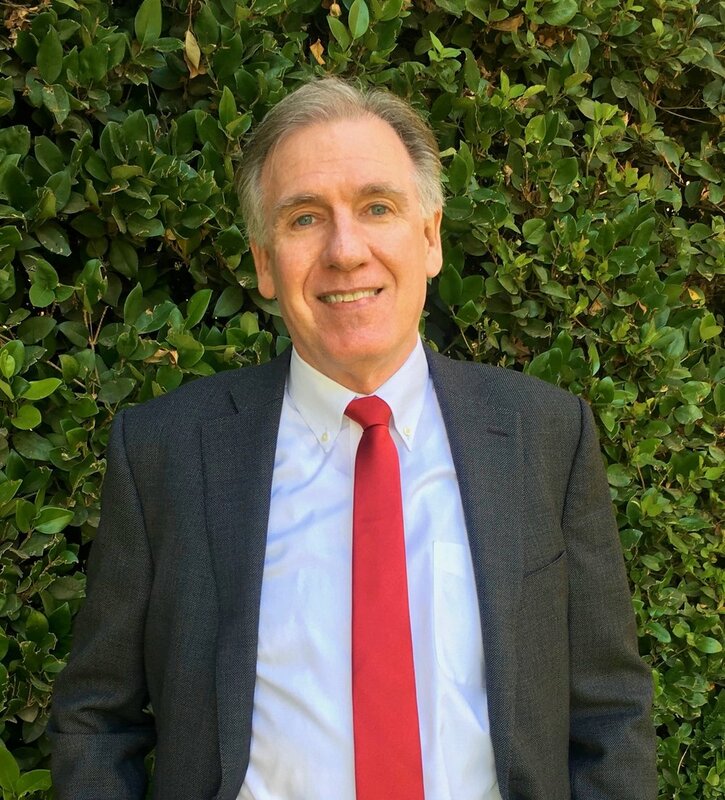 George has also represented clients before various federal, state, and local agencies, including planning commissions, boards of supervisors, city councils, water districts, the Department of Fish and Game, the Department of Water Resources, and the Federal Bureau of Land Management. He has both prosecuted and defended cases involving breaches of contract, breaches of fiduciary duties, real estate transactions, boundary line and easement disputes, and company dissolutions, among others. Extensive experience and exposure to complex litigation matters has made him particularly adept at anticipating pitfalls, developing creative compromises, and designing strategies for achieving his clients' ultimate objectives. George lives in Modesto with his wife, Mariana, and their four children. He is an active member of the Pancretan Association of America and a lifetime member of Kappa Alpha Order. True to his roots, George continues to farm almonds on the family ranch. When he is not at the office or on the ranch, George is spending time with his family or coaching his children’s soccer and baseball teams. He also enjoys golfing, playing soccer, and managing his fantasy football teams. Eric, a shareholder of the firm, is a native of San Joaquin County and grew up in the Tracy area. As a young man, Eric worked alongside his three brothers and father in the family harvesting business. When Eric was in high school, he and his family moved to Escalon, where Eric spent the next several years working on the family ranch, feedlot operation, and harvesting business. Eric graduated from Escalon High School and completed his undergraduate studies at California State University, Stanislaus and earned his law degree from the University of California, Davis. In 2004, Eric began his practice with a local litigation firm before later co-founding Rodarakis & Sousa, APC in 2012. Eric maintains a diverse litigation practice, practicing primarily in the areas of business litigation, trust litigation, commercial disputes, employment litigation, and agricultural law. Eric is also experienced in the areas of trademark litigation, class action defense, commercial bankruptcy, real estate, business formation and business transactions. His litigation experience includes extensive practice before both State and Federal courts and before various administrative agencies and tribunals. Eric is proud of his connections to the agricultural industry and enjoys representing his agricultural clients. Eric has represented clients at all stages of litigation and in court and jury trials, arbitrations, and mediations. His transactional experience includes business formation, corporate counseling and governance, and business transactions. Eric is a member and President of the Our Lady of Fatima Celebration in Escalon and serves on the Board of Directors for the Parent Resource Center in Modesto. Eric and his wife, Christen, have four children and live on their ranch in the outskirts of Escalon. Eric enjoys traveling, camping, spearfishing, kayaking, and just spending time with his friends and family. Brandy grew up on a small ranch outside of Oakdale, attending Milnes School and graduating valedictorian from Oakdale High School. She received her Bachelor of Arts from the University of California, Berkeley, graduating with high honors in Legal Studies and English Literature. Brandy completed her legal education at the University of California, Boalt Hall School of Law. She began her legal career with the law firm of Damrell, Nelson, Schrimp, Pallios, Pacher & Silva. In 2016, Brandy joined the law firm of Rodarakis & Sousa. Brandy practices in the areas of business and commercial litigation, real estate litigation, employment litigation, and estate and trust litigation. She also handles class action defense and construction defect claims. Brandy has represented individual and business clients in state and federal courts throughout all phases of litigation. Brandy lives near Knight’s Ferry with her husband, Justin, daughter, Everly, and two boxers, Brooklyn and Boulder. She most enjoys walks with her family, reading a good book, drinking coffee on her back patio, and counting the stars with Everly. Kathryn was born and raised in the Central Valley, growing up in Dinuba and graduating from high school in Merced, California. After obtaining her bachelor’s degree, she spent several years living and working in Washington, D.C. and Northern Virginia before returning to California for law school. Kathryn obtained her juris doctor in May 2013, graduating in the top ten percent of her class and earning the esteemed honor of Order of the Coif. She began her legal career in 2013 with the Fresno office of McCormick, Barstow, Sheppard, Wayte & Carruth before transitioning to Rodarakis & Sousa in January 2016. Kathryn’s primary focus is in civil litigation. She has experience litigating in both State and Federal courts, as well as arbitration. Kathryn has represented clients in a broad range of business and commercial litigation, real estate litigation, and contract disputes. She has also handled trademark and defamation matters. Kathryn resides in Merced, California. She is actively involved in her church and enjoys hiking, spending time with her nieces, and experimenting with new recipes in the kitchen. Kristina grew up in Hilmar, California, where she attended school and graduated from Hilmar High. She obtained her bachelor’s degree in journalism from California State University, Chico in 2005 and earned her juris doctor from McGeorge School of Law in 2009. She began her legal career with the Modesto office of a large Central Valley firm in 2010, focusing her practice in civil litigation and employment law. In 2014, she became General Counsel for PMZ Real Estate, where she advised the company’s management and real estate agents as to general business and transactional matters. In 2016, she joined Rodarakis & Sousa as Of Counsel, specializing in labor and employment law. Kristina works closely with her clients to implement best labor and employment practices and limit liability, and also defends clients in litigation before courts and administrative agencies, including the State Labor Commissioner. Kristina resides in Los Banos, California, where her husband Michael manages the family’s dairy farm and agricultural operations. They have two children, Delaney and Henry. Matt, a native New Yorker, began practicing law in Modesto in 1983. A former partner of the law firm Damrell, Nelson, Schrimp, Pallios, Pacher & Silva, where he worked with the firm’s founders, George Rodarakis and Eric Sousa, Matt became Of Counsel to the firm in 2018. Matt’s practice focuses primarily on counseling clients on a broad range of real estate and business transaction matters and real estate related litigation. He has represented individuals, privately held businesses, and Fortune 500 companies in the farming, food processing, and alcoholic beverage industries including growers, wineries, canneries, and animal feed suppliers. He is a highly accomplished attorney with extensive experience in commercial and agricultural real estate sales and exchanges; office, retail, industrial, and ground leasing; and the formation, acquisition, and disposition of businesses. Matt has negotiated, drafted, and finalized literally hundreds of real estate purchase and sale agreements, office, retail, and industrial leases, stock purchase agreements, asset purchase agreements and related documents. His practice includes counseling and assisting clients in conducting and managing real estate due diligence, including environmental, title and survey analysis; counseling business owners on corporate/entity governance and compliance matters including drafting organizational documents, and state and federal reporting; and litigation in the areas of eminent domain, quiet title, and partition. Matt is a detail-oriented, creative, and conscientious attorney with an analytical mind, and a depth of experience and focus to drive projects to completion. He is professional, personable, and able to explain complex legal concepts in plain English. Matt has served as a member of the Board of Directors of the Children’s Crisis Center of Stanislaus County since 1991. In his spare time, he enjoys travelling, fitness, reading (especially spy novels), and experiencing new things.